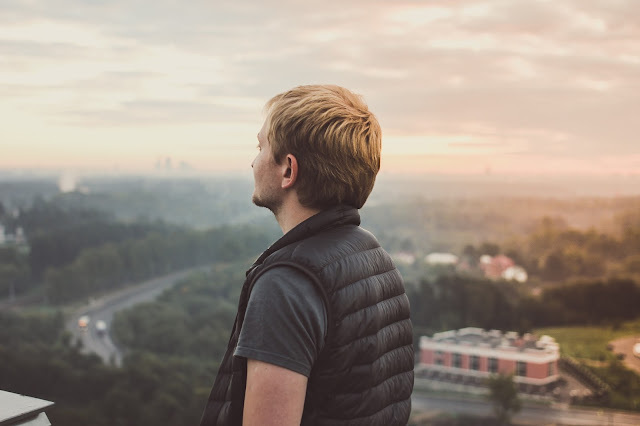 The increasing number of OFW and Balikbayan being sent home and going home this holiday season is one of the best times to provide them an avenue to see the opportunities of investing their hard-earned money and savings to starting a business. 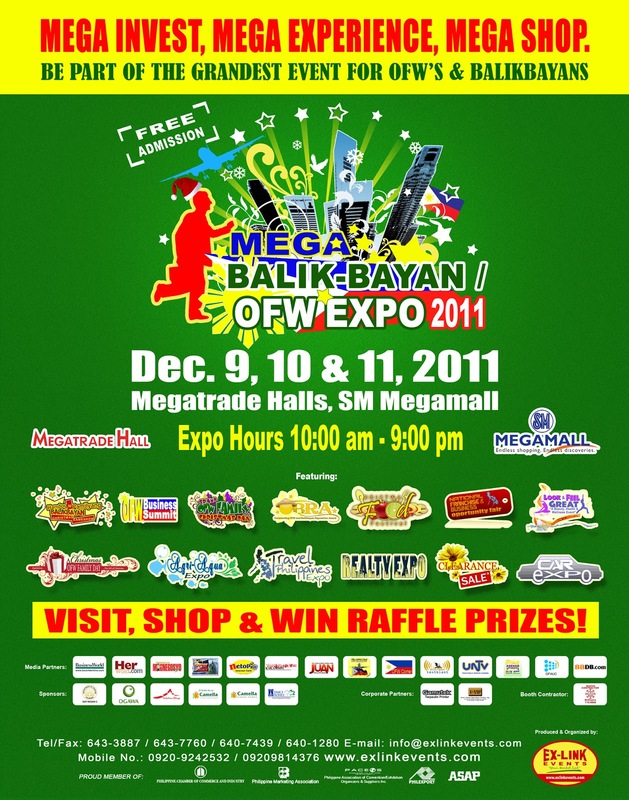 This is the reason why the 8th Megabalikbayan OFW Business Expo set this December 9-11, 2011, at Megatrade; SM Megamall is getting bigger and attracting a lot of business participants to welcome the arrival of our modern day heroes. 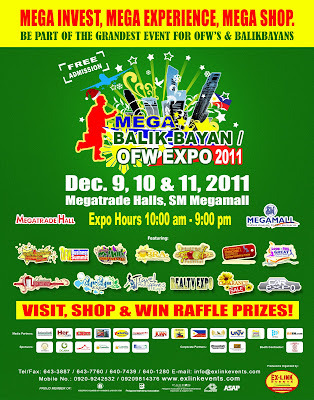 The 8th MegaBalikbayan OFW Expo boasts of an exhibit area of 2,530 square meters and more than 200 companies. Add to this exciting event the co-located event Travel Philippines Expo that showcase different local tourism destination that aims to stimulate and increase the number of local tourists to our country. Among the participants in the Travel Philippines Expo are Indochina Strings Philippines, Midas Hotel, Southwest Tours Boracay, Imperial Palace – Cebu, DOT Region 2, Trio Queen Travel and Tours, Lolo Oyong's Pensione House – Palawan, Bio Safe (Medical Tourism), Hotel Kimberly, El Puerto Marina – Pangasinan, Lotus Garden, One Tagaytay Place, Club Balai Isabel and a lot more. Besides this offering, the 3rd Outstanding OFW and Balikbayan Reputation Award (OBRA) will recognize this year’s OFWs and Balikbayans who have shown exemplary behavior in the field of work, family, entrepreneurship, community and nation building. 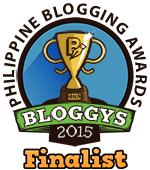 OBRA is much awaited by a lot of OFW associations who have nominated their members in this much coveted recognition. An OFW and Balikbayan family fund day is also a highlight of this year’s event where OFW and Balikbayan families were invited and gets to be treated inside the event by lots of exclusive educational sessions, freebies and raffles. “The event is getting bigger every year and is attracting a lot of business participants’ aim at attracting OFWs and Balikbayan to be part of their business”, said Mitch Ballesteros, CEO of Exlinkevents. Some of the participants of the 8th MegaBalikbayan OFW Expo are Filinvest Alabang Inc., Eton Properties Phil. Inc., Finds Convenience Store, Insular Bank, Marubeni, Phil. Prudential Life Insurance, Mr. Liempo, Bio Essence, BPI, San Miguel Coffee Mix, Waki Health Products, Snoe Beauty Products and a lot more. Last year a total of 12,000 visitors attended the event. This year, the event expects 15,000 visitors an increase of 20% compared last year. The event is produced and organized by Exlinkevents. For partnership and additional information call tel. no. 6433887 or visit www.exlinkevents.com.